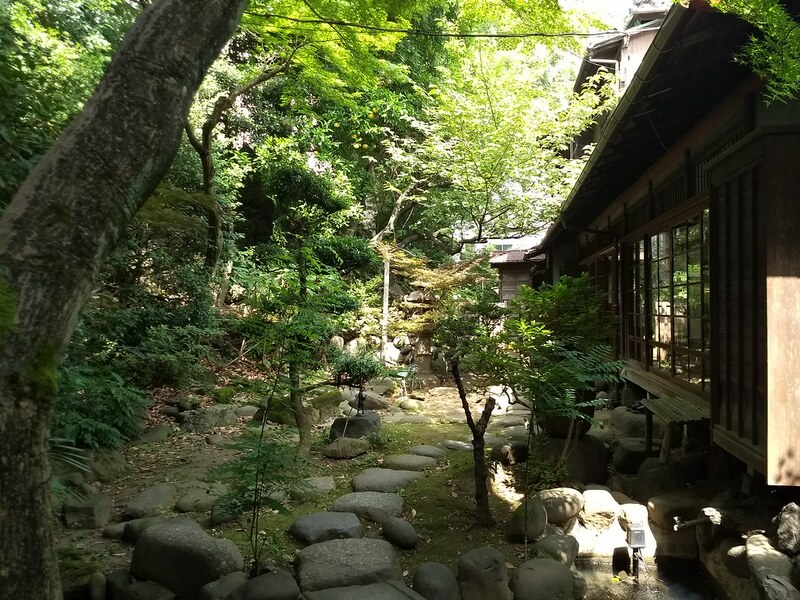 The garden at guesthouse toco in the Iriya/Uguisudani neighborhood of Tokyo. Now I’m trying to remember where I stayed in each of these cities, during this crazy journey. 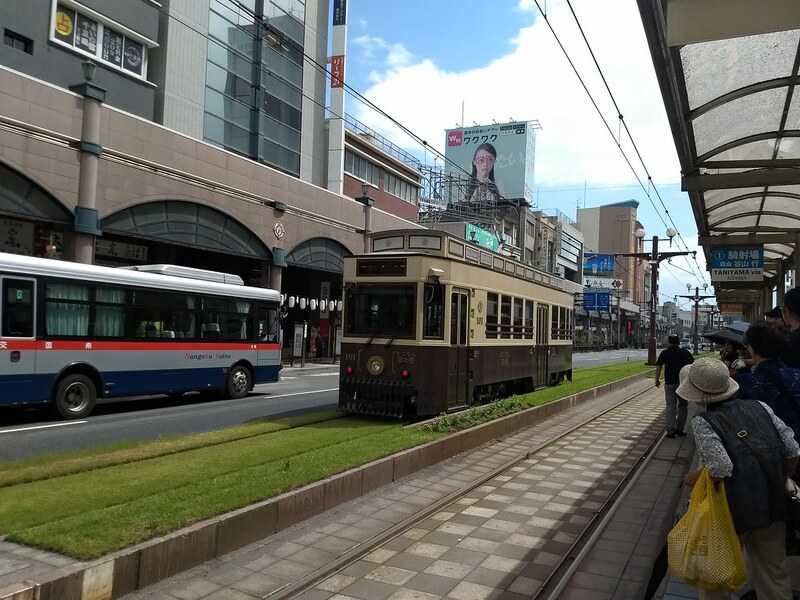 I’ve already touched upon my lodgings in Naha, Kagoshima, and Fukuoka for this trip. Two great hip hostels/guesthouses, and one crappy boring-as-hell ordinary business hotel. In Himeji, I ended up staying in a business hotel again (Himeji Green Hotel Tatemachi), because I couldn’t find anything else. It was fine. Served the purpose, on a basic level. But, honestly, really, nothing impressive or positive about the experience. I really do think I’m going to try to avoid these places as much as possible from now on. 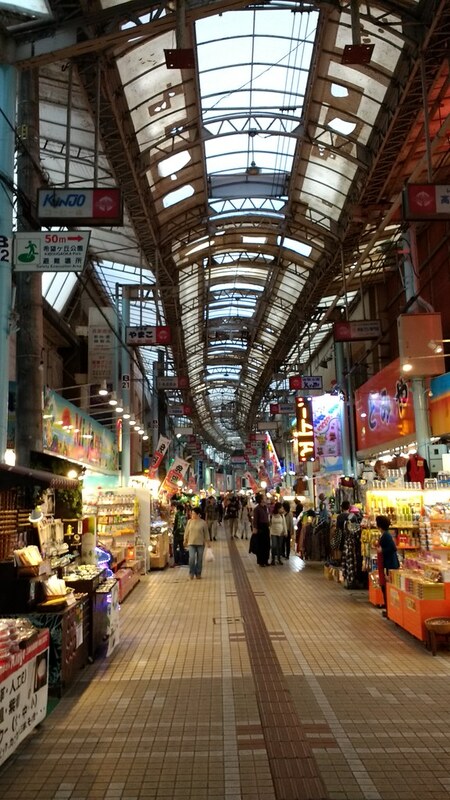 I didn’t stop in Ise overnight, but ended up staying that night in Nagoya. 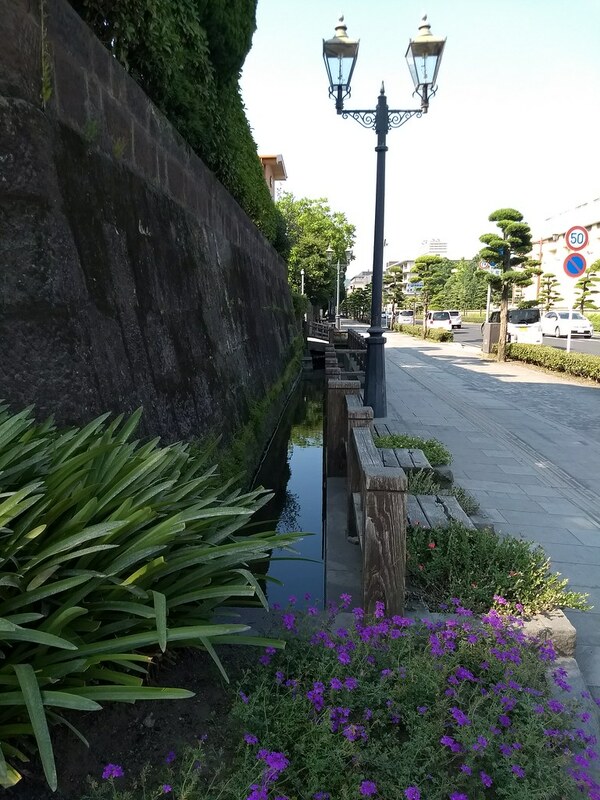 Actually, I didn’t really have a plan for where I was going to stay that night – didn’t book anywhere because I didn’t know if I’d end up in Nagoya, or all the way back in Tokyo, or where, by X hour of the evening. So, using Agoda.com (or perhaps some other app; I don’t recall), I found at the last minute, late that night already, a place just outside Nagoya Station. EcoHotel Nagoya. Since I was arriving late at night and leaving the next morning, it certainly served my purposes. But it was the most absolute basic arrangement. The one staff guy was pretty much only there for check-in, and the entire arrangement was just basically here’s a room. Shared showers in the basement. Elevator didn’t go to the ground floor, so you had to lug your bags up the stairs. I’m not sure if it was converted from day laborers’ dorms or what, but it was just really small rooms, a place to lay your head. One towel. A big trough with pipes flowing over it, just the most basic thing you could image that allows for the basic needs of brushing your teeth and washing your hands without having to go all the way downstairs to the showers. 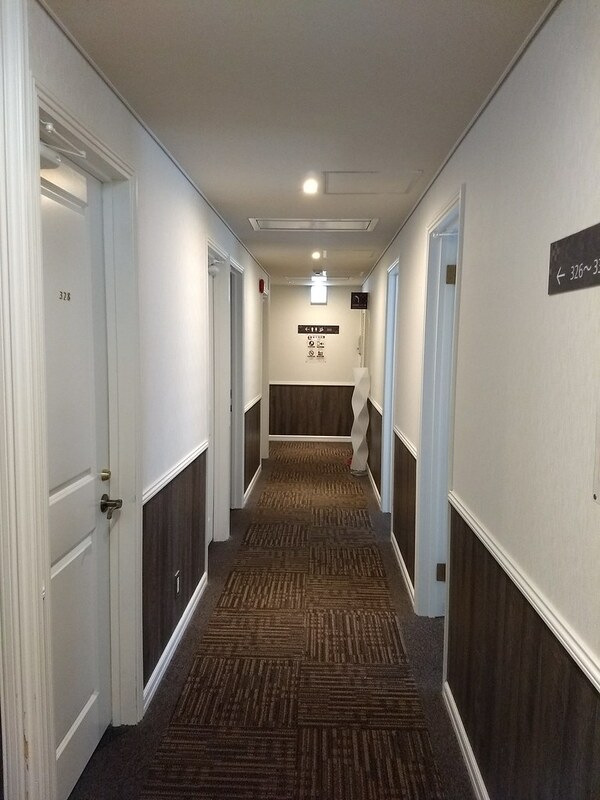 I don’t even remember what the room looked like, just the hallway, entranceway, stairway, which looked completely un-renovated, like no one made any effort whatsoever to make this look nice/clean for visitors. But I guess that’s okay, when you’re paying #20/night or whatever it was. At least I got to have a room to myself. Didn’t get that one night in Tokyo, at Tsubame Guest House, which was not only rundown-seeming, with a faint sense of mildew or the like, and with no elevators, and with multiple beds in a shared room, but also it was quite a bit of a walk from the nearest station; not a convenient location at all. Still, I’m glad I got that place to stay in Nagoya at all. It was already 9 or 10 at night by the time I booked it, using the wifi at the Starbucks at Nagoya Station. 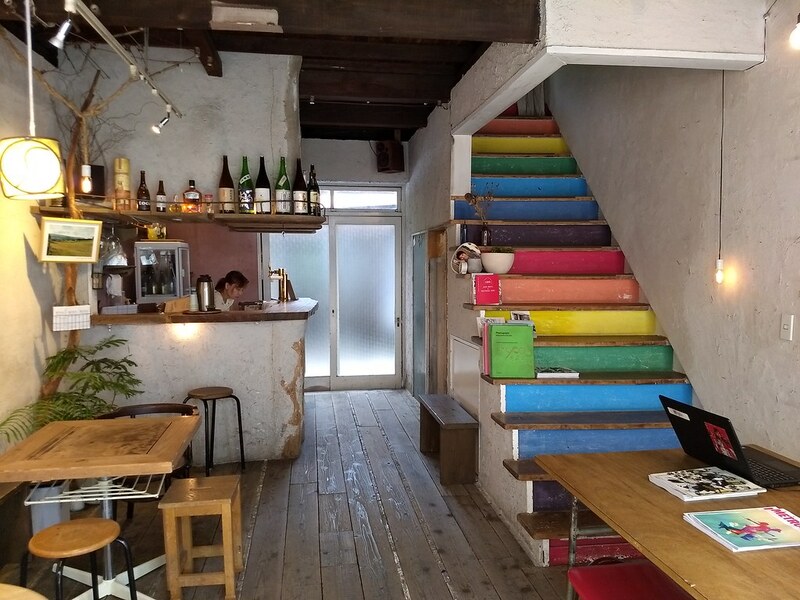 Returning to Tokyo, I spent one overpriced night at FirstCabin Azabu, but also managed to score a few nights at a cool guesthouse called guesthouse toco. 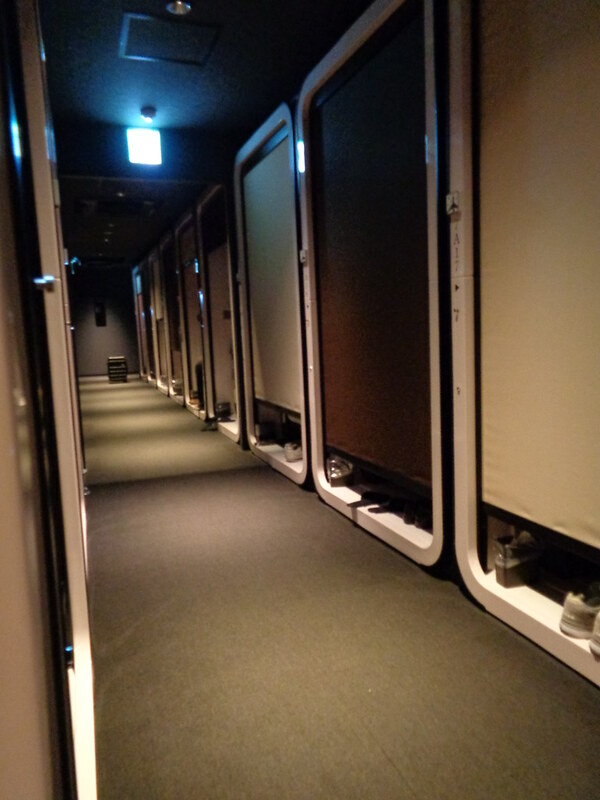 FirstCabin is a chain of glorified capsule hotels. I guess this “cabin” thing is getting big now. Unlike a capsule hotel (which I’ve never tried; too claustrophobic), you get a space with a more normal height of ceiling. But otherwise, it’s still less like a full proper room than it is a whole row of over-large capsules (or “cabins”). There’s no door to lock, and indeed for whatever reasons you’re not allowed to lock it at all. There’s a sort of curtain to pull down, like a garage door, and inside your little box, you have just the bed, and just barely enough space to keep your luggage, and like a small bedside counter. Anyway, I didn’t mind this; it was private enough, and comfy enough, for my purposes. But, I don’t know, I can’t quite put my finger on it, there was something just too impersonal, too depressing or dystopian about the aesthetic somehow, it just really put me off. The main lobby was like a hotel lobby – unnecessarily fancy, and generally impersonal and off-puttingly over-professional (i.e. unlike a hostel/guesthouse where the young cool hip staff might be more friendly). And the whole rest of the place felt empty, even more inhuman, like being on a spaceship or something, disconnected from Earth. I know, it’s a funny thing to say, but there just really was something about the sterile, antiseptic, high-technology, dark-colored decorating scheme that just made me feel this way. Sure, there were other people around, but it’s not like we talked or anything. The whole hotel was the 9th, 10th, 11th floors or something like that, with only one elevator, and guestroom cards that were required for accessing certain areas (e.g. the showers) but which wouldn’t get you into other areas (e.g. the women-only floor). Which is fine, it makes sense, but it also gave me a sort of dystopian, space station, too high-tech HAL 9000 sort of vibe. The entrance area at guesthouse toco. In any case, the other place, guesthouse toco, was great. 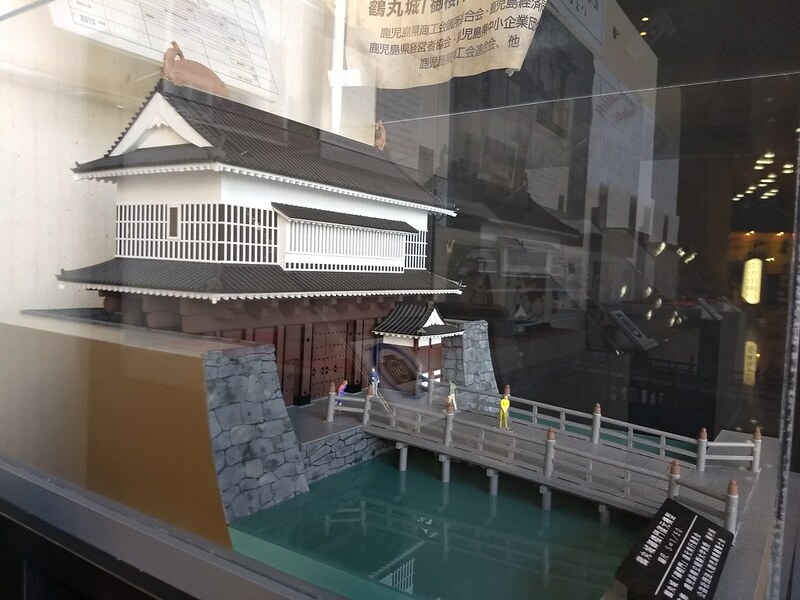 I mean, it wasn’t some super amazing special experience like I thought it just might be based on the fact that the place was featured on Nippon.com, as if it was really a unique special place worth knowing about. 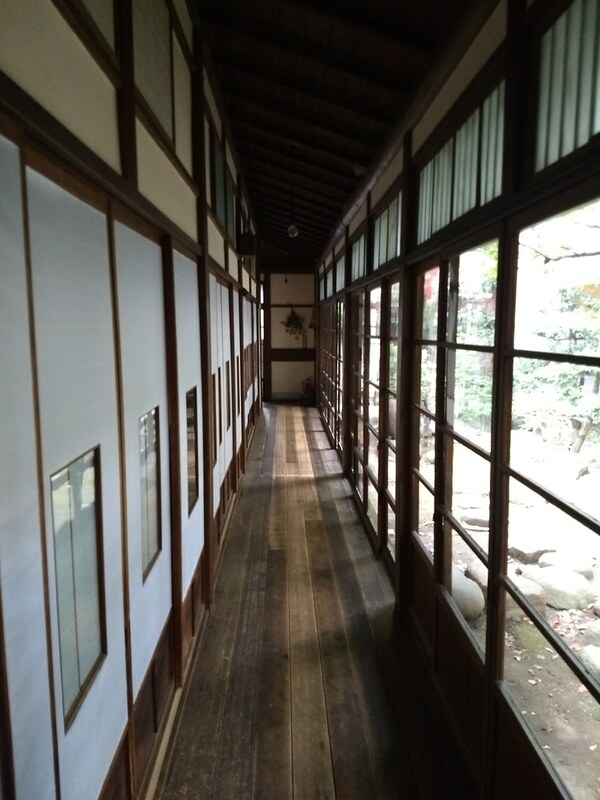 Based in a repurposed Taishô-era (c. 1910s-1920s) house, it definitely has character, in a good way. When you first walk in, there’s a nice little bar/café area all in wood, with a bunch of tables and a little bar towards the back, which in my experience I found to be a very friendly collegial, fun place for conversation. 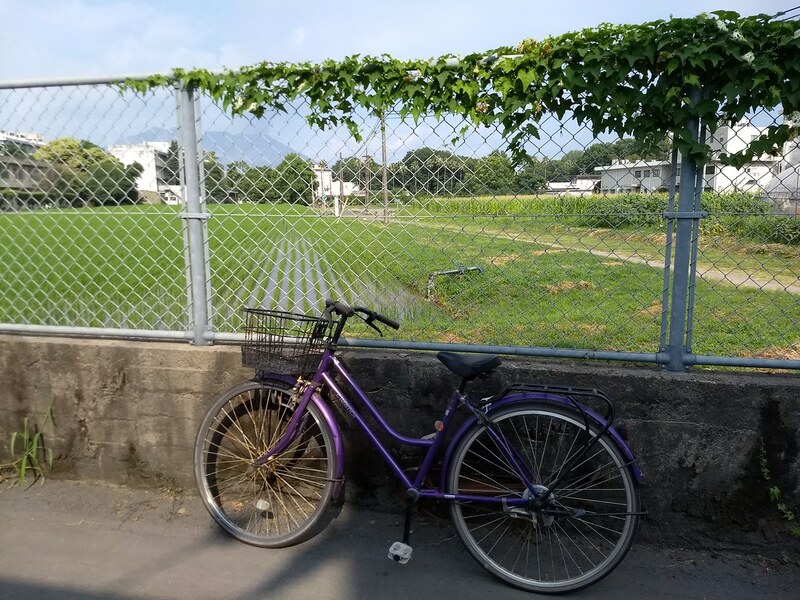 I almost never hang out and talk to people at hostels – I’m no backpacker, I’m usually a fair bit older than most hostel-stayers, and I’m usually much more experienced with Japan, being here not for some wacky once-in-a-lifetime adventure but for, well, something else. 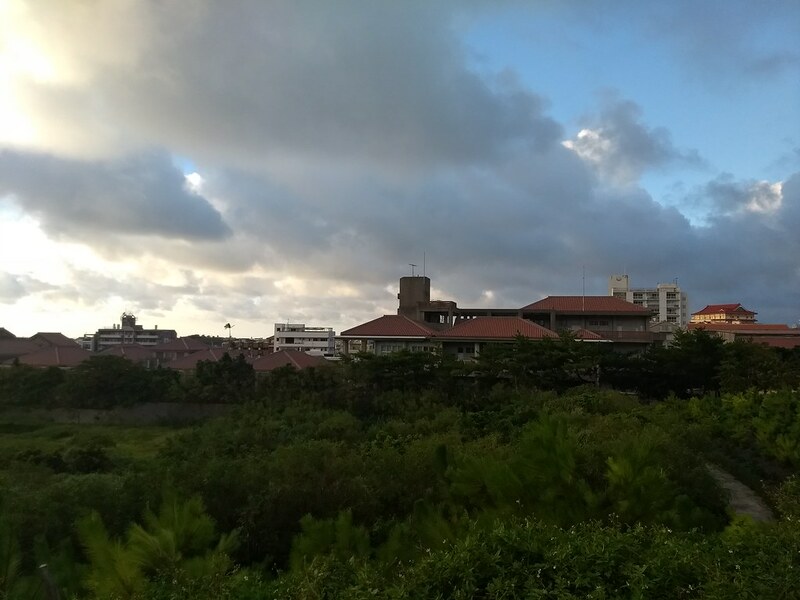 But, at toco, at least those particular days, it just seemed like a really good mix of people, and people willing to talk and just chat and be cool. I dunno. It just worked. A staircase in that first room is painted all rainbow, and leads up to some of the guest rooms. Then, you cross out the back of the bar and cross a small outdoor garden sort of area, into the somewhat more traditional-design older house. Two (or more?) big main rooms are taken up by six or eight beds; I don’t like sharing a room, but it worked out fine. I basically just hung out in the bar area until I was fully ready for bed and then just went to sleep. It’s tough not having any full-on private space to yourself for a few days, but it was only for a few days. Sliding doors, wooden veranda planks, a nice little garden to admire out the window, the whole deal. Very nice. One more downside of the shared room and bunk beds – nowhere to put your luggage. I suppose I was being kind of entitled and obnoxious to keep my luggage outside of the room, but, seriously, I’m not going to go through my luggage right in front of someone else’s bed, and then try to shove it under that bed… Even if I am comfortable enough with having just a bed and not a whole room to myself for sleeping, I need a little space to sort myself out. I don’t know if I’m just getting too old for this, or if that was never my kind of thing to begin with. But, really. I’m flexible, I’m easy-going, I can manage a lot of different living/sleeping conditions, and I certainly did on this trip. But I really would prefer having a bit more space to myself, if only for basic logistical purposes of not making noise and taking up space directly around other people who are trying to sleep! In any case, behind these main sleeping rooms was a kitchen & common area, with bathrooms and showers, and a little outdoor garden area with laundry machines and clotheslines. I feel bad that I did laundry and then left my stuff out all day – and it then rained – such that my stuff was taking up almost all of the clotheslines such that no one else in the whole guesthouse could hang their stuff out to dry for a day or two. But I guess maybe that’s just how it is? .. And the staff also cook you breakfast in the morning, which is really nice and also provides another opportunity for chatting and hanging out. Again, I wasn’t really looking to make friends; I had my own things to do and wasn’t going to find/make a traveling buddy. But, still, it was nice to feel a little social interaction after so many days of traveling on my own. So, yeah. There’s my short run-down of a few more of the different sorts of places I stayed during this trip. 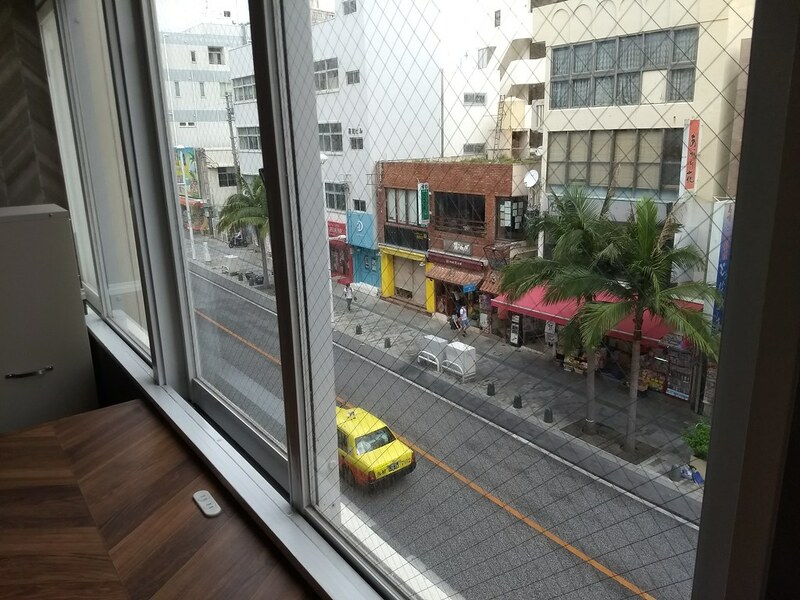 All in all, I think my favorites were places like &AND HOSTEL AKIHABARA and the Abest Cube Naha, as well as WeBase Hakata, all very clean, sleek, hip, white aesthetic sort of places. Small rooms on halls with shared showers or whatever, but still, private rooms, which makes all the difference to me, and with a nicer aesthetic than business hotels. Even if I have to share a bathroom with others, I still prefer that to the sort of “box” bathrooms in these business hotels, which always feel too small to me, and just somehow never feel clean enough. Quite frankly, if my bedroom and bathroom are going to be that small, I don’t want them to be so close to one another. Even if I have to go all the way down the hall to a shared bathroom, that’s better than feeling like I’m basically in the same room as my toilet, as if it were a camper van or a prison cell or something. I don’t feel that way in normal-size hotel rooms; only in the tiny Japanese ones.